In this meetup we will discuss some of the recently announced developments in Google AppEngine at Google I/O 2011 in greater depth. The main speaker will be Ikai Lan from Google HQ (you can get an idea of his involvement from his blog on App Engine). 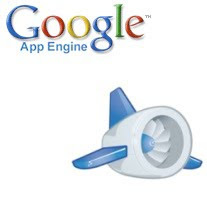 Ikai is currently working in the Developer Relations group at Google, focused on Google App Engine. Prior to Google, he worked as a software engineer building social and mobile applications at LinkedIn. Ikai is an avid technologist, consuming volumes of material about new programming languages, frameworks or services. The format of this meetup will consist of an initial tutorial-style session, followed by a short break and then a coding session. In order to make best use of the second session, please bring along a laptop with the appropriate App Engine SDK installed. For catering purposes, please head over to our registration form to indicate your attendance. See you there! I think that SG-GTUG needs to filter the speaker to make sure that the speaker able to give presentation that related to the theme of the meetup. Or at least notify the speaker to prepare presentation that related to the theme. The second speaker said un-related stuff and to be honest, I prefer it to be used for Hackaton.